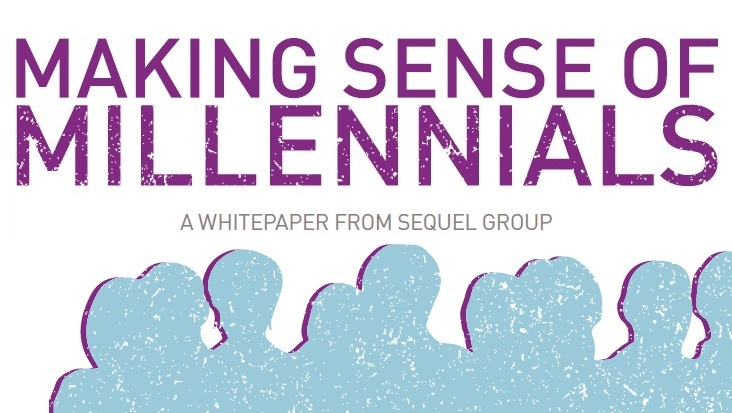 Request our new whitepaper – Making sense of Millennials – by emailing Sally.Longstaff@sequelgroup.co.uk. Produced by Paul Jones, our Associate Director – Strategy, our latest whitepaper is all about Millennials and internal communications. What exactly is a Millennial and how Millennial are you? Paul looks at some of the latest research into Millennials in the workplace and outlines six areas you can focus on in order to engage this age group that will within a decade or so ‘will make up 70 per cent of the global workforce’. 98 per cent of Millennials believe working with strong coaches and mentors is an important part of their development. Just 52 per cent of Millennials say that their workplace helps them to be innovative. Around half of the participants in one Millennials study said they would feel ‘moderately to highly’ anxious if they couldn’t check in with their technological world as often as they’d like to.